Considering that Game of Thrones is all the rage right now – especially with everything that went down during last night’s episode – we couldn’t help but point out how the series’ world was expanding in an entirely different place. And that place is Minecraft. 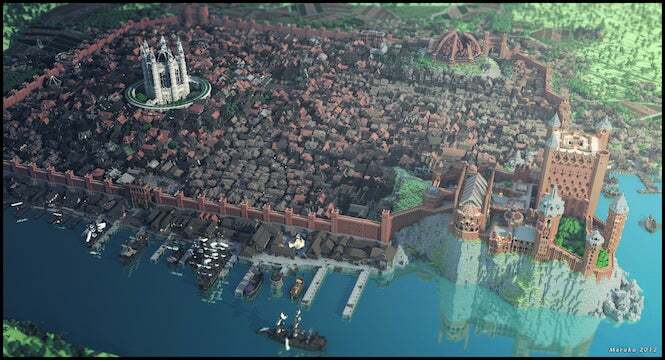 Three years ago, a group of Minecraft players tasked themselves with recreating the world of Westeros in the game. The team made quite a bit of progress over the course of the following year, making the world about 70 percent complete at that time. But we haven’t heard too much from them since, indicating that it was either taking a break or investing even more time in making sure that Westeros looked better than ever, even with all the blocks. And that’s exactly what they’ve done. The team recently provided an update to the project that shows just how much it’s grown over the past three years. We’ve included before and after shots below, and, as you can see, the team’s taken the extra time to improve on current models in the game, as well as expanding the world to three times the size of what it started with back in 2014. According to the team, the map is hardly child’s play, as it was built using approximately 22,000 x 59,000 blocks, which measures up to around 501.14 square miles or 806.51 kilometers – and that measures out to about the size of Los Angeles, according to GameZone. And, best of all, for those players that feel like roaming around Kings’ Landing and stirring up trouble, the downloads have been made available here, so you can add them to your world and have miles upon miles worth of terrain to explore in the fictional world of Westeros. 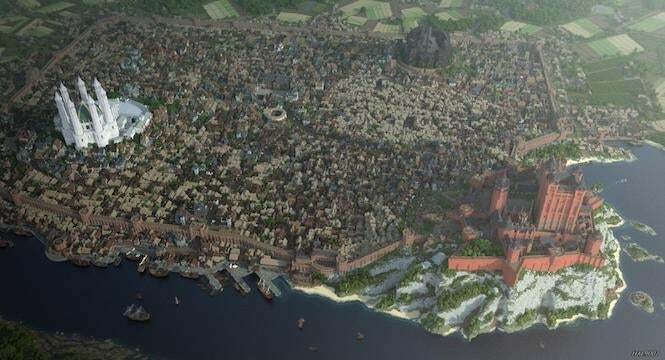 Granted, you won’t be seeing people jumping out of buildings or dragons tearing up the place, but there’s still something absolutely magical about how the team has managed to recreate Westeros without breaking a sweat. It makes us wonder what other equally talented teams may be capable of within the game. Minecraft is available now for various consoles and PC.